Solar panel reviews: Is solar power worth it? Solar power is fast gaining popularity in many households in most countries around the world. The reason behind this growth is that governments have promoted the efforts of most households and firms using sun power as green energy, by introducing incentives such as eliminating taxes on the equipment. However, most studies continue to mention that there is a general lack of information about solar and that’s why this blog: “Swichingtosolarpv.com” is useful and provides relevant information that most solar considerers may be looking to decide about solar. 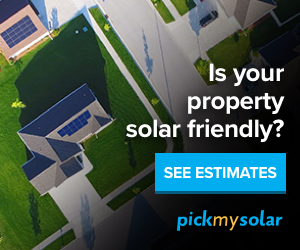 This blog promotes online solar tools that can help to decide whether solar is right for you based on your specific solar potential and roofing design. Click here to learn more about these online solar tools. In this specific blog, solar panel reviews of different solar panels brands is provided as well as where you can obtain these solar panels. To start, let us see how solar panels work and try to answer a common question: Is solar power worth it? A solar panel has two sheets of semiconducting material that are silicon cells. When a photon of light or sunray hit the two layers, it prompts an electron to jump between them. The vibrations of these electrons produce some energy and then tapped by attaching electrodes to the two layers. The connected wires end up transferring energy, which ends up as electricity. One of the most common questions asked about solar panels include: “Is solar power worth it?” We can answer this question in some angles and to kick us off is that it depends on various unique needs surrounding your home or business. From lighting to running your equipment and gadgets, solar energy will save you money that could have otherwise gone to settling your utility bills. Secondly, solar power the initial installation of sun power in the USA could range anywhere between USD 15,000- 30,000 without tax credits. The power is a sound financial decision, saving the public’s health, climate, and environment as solar is a cheaper option compared to fossil fuel. Finally yet fundamental, is that solar offers energy reliability and independence. Everyone knows the sun will continue to rise and you need not worry of exhausting any reserves in the decades to come. Ameresco Solar is a leader in remote power products supplying ten high-quality solar panels to markets. The over 100 products use the polycrystalline technology, offering a wattage of between 140-200 Watts. The products come with an extended warranty of over ten years for both residential and commercial solar power systems. The manufacturer is based in the US. To learn more about these brand of solar panels; Click here for Solar Power Information, Products, and Videos! Save On Solar Panel Kits At GoGreenSolar.com – Shop Now! The British Petroleum Company or BP offers decent panels most of them providing a wattage of between 220-285 Watts. The manufacturers have incorporated the polycrystalline module in the more than ten models under its name. BP solar panel enjoys a warranty of 10 years, guaranteeing users of 25 years of service on each of the panels. Their panels are manufactured in India, China and the US. Canadian Solar based in Canada is among the leading solar manufacturers, producing highly efficient solar cells, solar modules, sun power systems not mentioning the off-grid solar power application solutions. It has over 11 solar PV models, each offering an output of between 210 and 260 Watts. The panels are made of monocrystalline technology, whose efficiency ranges between 15.4 -16.3 percent. The products’ warranty is ten years, covering for poor material and artistry. ET Solar is a smart solar energy maker, offering highly successful solar systems. The maker incorporates the polycrystalline cell efficiency technology in its ten models. The wattage ranges between 305-320 Watts, a ten years warranty and 25 years of services on their products. To learn more about these brand of solar panels Click here for Solar Power Information, Products, and Videos! Powerfilm has positioned itself global manufacturer of thin-film solar products and modules. The US-based maker utilises proprietary technology platform, allowing for the production of low-cost solar modules on a high volume basis. The maker also warrants their products for one year, free from defects in materials and artistry. Power Up is a renowned manufacturer of photovoltaic (PV) products thanks to 20 years of experience in the solar industry. The modules offer a wattage of between 1-40 Watts, suiting many applications. The maker supports its OEM panels with a five-year warranty. Sharp Solar is a committed solar solutions maker, boasting of six models made of polycrystalline material. The products offer an average efficiency of between 14.4-15.5 percent, with a warranty of 10 years. The maker guarantees a performance of the solar panels for the age of 25, and in the end, the power output falling to 80%. Sharp Solar Panels are made in the US and Japan but supplied in Canada among other countries. Solar Land is a US-based solar maker, boasting of the two SLP Series panel that offers a wattage of between 3-40 Watts. All panels the feature high-efficient cells, each covered by our 25-year warranty by the manufacturer. Solartech is the maker of the photovoltaic panels that use the efficient polycrystalline technology. The maker has nine products, offering a wattage of between 45-140 Watts. The products come with 20 years of guaranteed service. Solartech is based in England. Click here for Solar Power Information, Products, and Videos! Solar World is a renowned solar pioneer in the U.S and Canadian markets. SolarWorld has six models made of monocrystalline and polycrystalline technology. Its products’ efficiency ranges between 13.12–16.7 percent, offering a warranty of 10 years. The products enjoy a lifespan of 30 years with power output dropping to 86.5 percent after this period. Suntech Solar develops and manufactures the most reliable and cost-effective solar energy solutions today. The maker has four models offering a wattage of between 240-305 Watts, using the monocrystalline and polycrystalline technology. The products enjoy a 10-year warranty, guaranteed lifespan of 25 years with power output dropping to 80.2 percent after this period. The solar panels maker is based in China, Japan and the USA. Yingli Solar Panels is one of the world’s best solar (photovoltaic) panel manufacturers headquartered in China but with branches across many parts of the world. It boasts of up to six models of both mono crystalline and multi crystalline solar panels, of between 315-340 Watts. The products come with a warranty of 25 years, guaranteed 25 years of service with the power dropping to 80.20 percent after this period. Trina Solar provides smart, clean and reliable energy solutions to homes and businesses worldwide. It produces five models of both mono and multi-crystalline solar panels. The maker guarantees an output that is above the nameplate wattage, 250-270 Watts, with each module coming with a 10-year warranty and 25 or 30 years linear power output guarantee. After this period, the power falls to 80.20 percent. SunPower has high performing solar power systems but with three models made of monocrystalline technology. The products offer an average efficiency of between 20.4-21.5 percent. SunPower offers a 25 years warranty, guaranteed 25-year performance with the power output of their solar panels dropping to 87% after this period. Their solar panels designed in the USA.